With New York Fashion Week currently in progress, the city is teeming with photographers, fashion editors, and bloggers on the prowl for amazing street style. 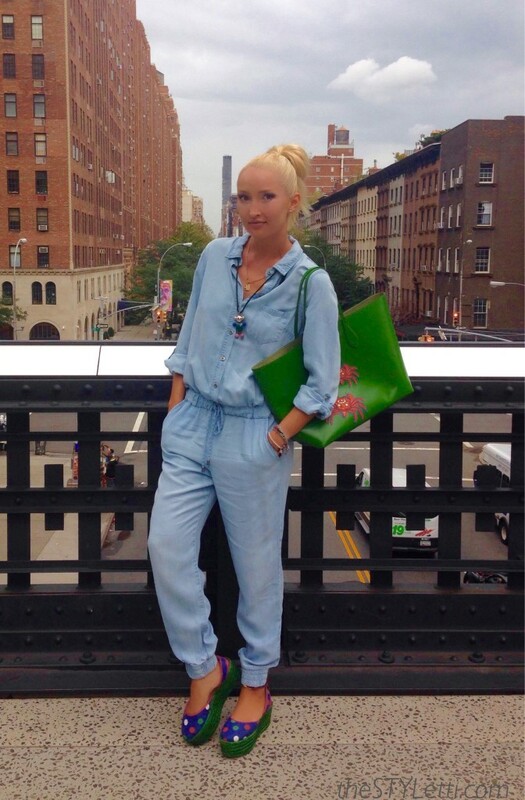 Our very own Liliya Anisimova fell prey to one such creature (not unlike myself) while wearing this denim jumpsuit in a walk about town. 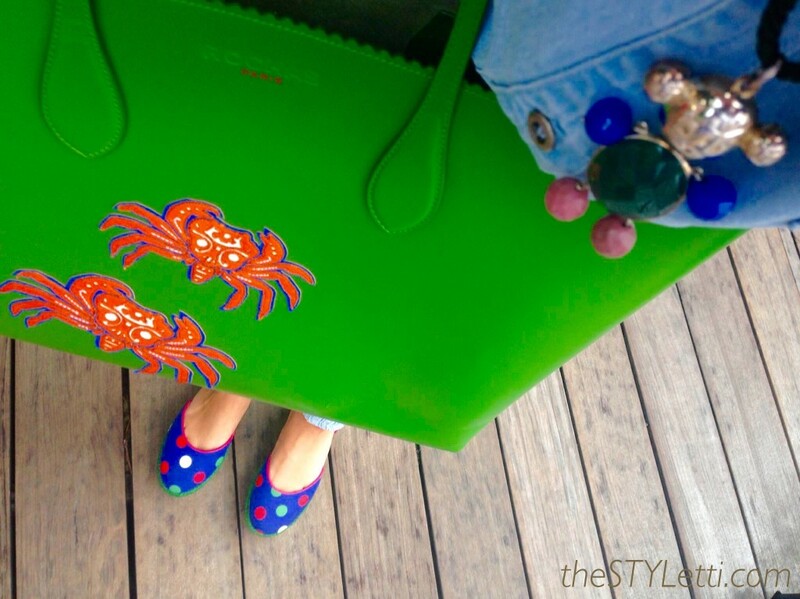 …and an equally vivid, equally whimsical Rochas tote. The silver TOUS® Bear necklace gives the outfit an extra dose of playfulness and balances out the wonderful shots of color on a day in which the skies aren’t as azure blue nor the sun as bright as they were earlier this summer. Unlike the myriad other stylish New Yorkers hoping to be captured on their way to fashion shows, Liliya’s intention on getting dressed for the day was to be super comfy while showing around an out-of-town guest. She also wanted to celebrate the last days of warm weather in the City. Is not this look perfect for a casual, end of summer urban jaunt? The hairstyle in a loose bun and minimal makeup also give it a carefree air. What I like most about this #OOTD is how the accessories catch your eye like a pop-art painting on a canvas of faded denim. While super casual, the outfit is also super chic. 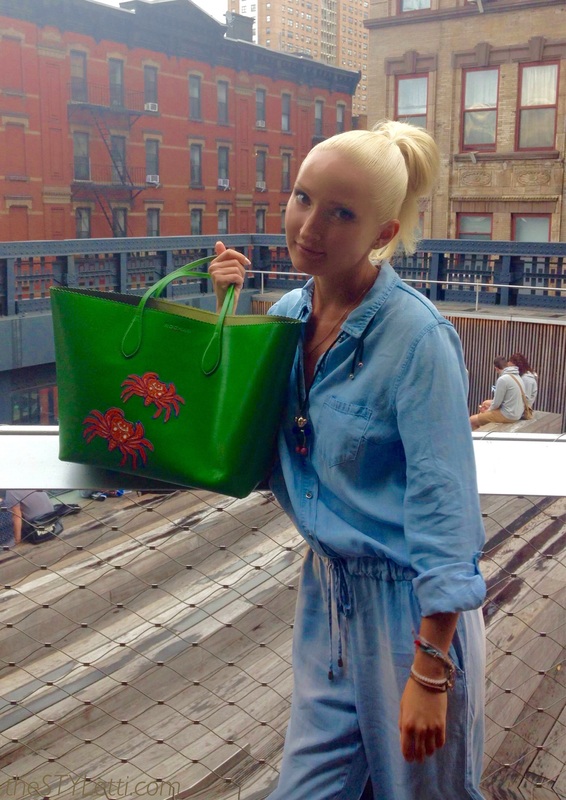 With an ensemble like this, it is no wonder Liliya caught the attention of one of the New York Fashion Week paparazzi! Hope it also inspires you to have fun and go a little crazy – with some light wash chambray or faded denim and brightly-colored accessories. Thank you, Ilaria! ???? I agree – the shoes are awesome, as is the whole combination of cool accessories! Thanks, Rosamarie. ???? I can totally relate!